As a Seton Hill University Alumna/us, please take advantage of the great opportunities to stay engaged with the Seton Hill community and show your Griffin Pride! Visit the links below to see how. Visit often to find out more. Call the Alumni Office to request your Alumni Membership card ~ 724/830-1005. 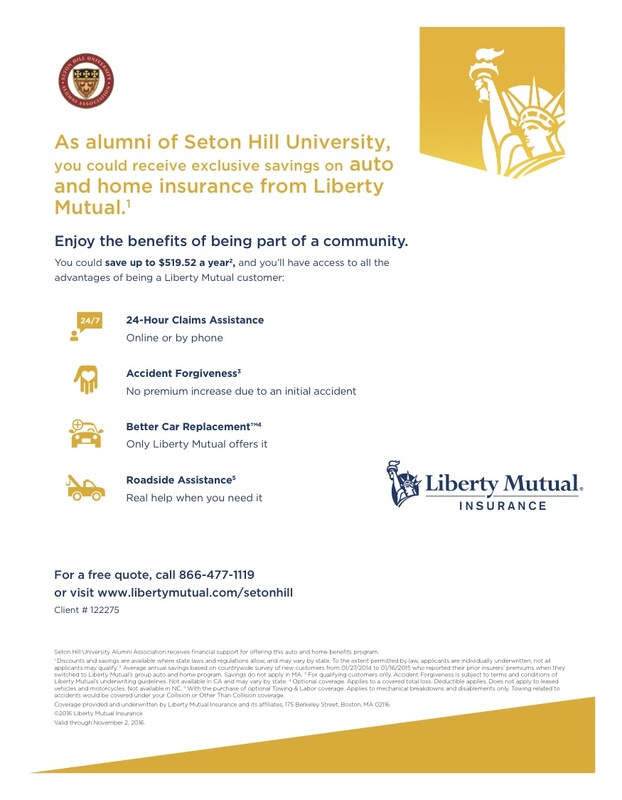 Liberty Mutual Insurance ~ exclusive savings to Seton Hill Alumni on quality auto and home insurance. Alumni Emails ~ Beginning in 2014, students may continue the use of their Seton Hill email account upon graduation. The Seton Hill Bookstore offers a 10% discount on SHU merchandise everyday to alumni. May not be used with other discounts/coupons. Special events included on our Event Calendar. Also visit our Visual and Performing Arts Calendar for upcoming plays, concerts, dance recitals and Community Music program events.